Learn the skills you need to become a pharmacy tech in a hospital or retail setting with the Pharmacy Technician Online Certification Training Program. You'll gain the skills and knowledge to qualify for entry-level positions in pharmacies, and you'll be prepared for national certification. This program pairs you with an instructor for one-on-one assistance. Upon successfully completing your program, you may qualify for a 40 to 100-hour externship. For more information, view the "Details" section. All materials are included in the cost of the program. Upon completion of this program, you will be prepared to sit for the National Certification Exam which is the Pharmacy Technician Certification Exam (PTCE), offered by Pharmacy Technician Certification Board (PTCB). The registration fee for this exam is also included with the program. Click here for information regarding your state-specific regulations for Pharmacy Technicians. You will learn to function as an important member of the pharmacy team by providing excellent customer service and distributing medical prescriptions. Pharmacy technicians assist and support licensed pharmacists in providing healthcare to patients. The Pharmacy Technician Online Certification Training Program was developed in response to a rising need for trained technicians to work in hospital or retail pharmacies. The pharmacy technician profession has become indispensable to the health care field. With this growing opportunity, however, has also come increased responsibility, and this increased responsibility has made certification an important issue for many industry employers and some state legislatures. Some states now require all individuals who work as pharmacy technicians to become nationally certified. 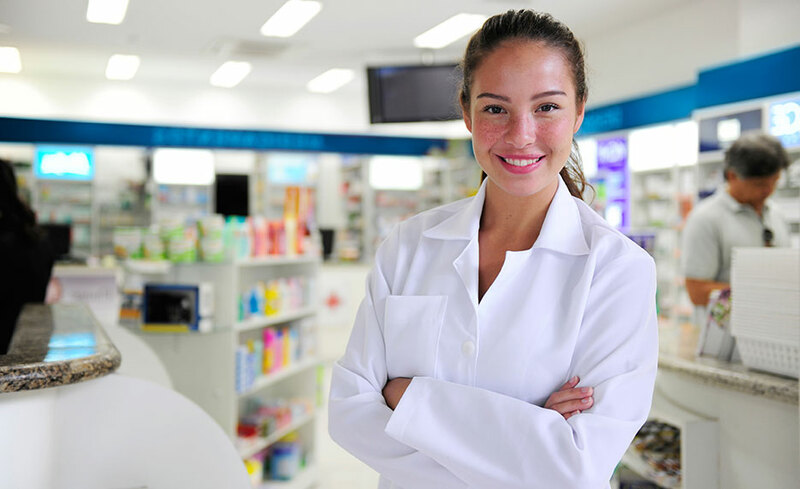 In all parts of the country, pharmacy technicians must have a broad knowledge of pharmacy practice and must be skilled in the techniques required to order, stock, package, and prepare medications, but they don't need the advanced college education required of a licensed pharmacist. Pharmacy technicians may perform many of the same duties as a pharmacist; however, all of their work must be checked by a pharmacist before medication can be dispensed to a patient. This program will prepare you for entry-level pharmacy technician positions by teaching you medical and pharmaceutical terminology, basic anatomy related to the pharmacology of medications, and pharmaceutical calculations. The Pharmacy Technician Program will give you hands-on practice in retail pharmacy procedures through an online lab module. You'll learn what information is necessary to process prescriptions and physician orders and apply that knowledge to fill mock prescriptions. The curriculum also includes the ethics of pharmacy practice and education about prescription medications, patient care and interaction, and charges and reimbursement. You'll learn everything you need to know to pass the National Certification Exam offered by the Pharmacy Technician Certification Board (PTCB). However, you'll need to make sure that the Pharmacy Technician Program will meet your state's requirements. To check, visit your state's Board of Pharmacy site for more information. You can access this information directly from the Pharmacy Technician Certification Board (PTCB) website at www.ptcb.org. Click on the "Who We Serve" link, then the "States" link for information. You can also call the state board and ask for the current technician regulations. As a part of the Pharmacy Technician Online Certification Training Program, students are required to complete a Virtual Externship. They also have an option to perform an actual hands-on 100-hour clinical externship. Clinical externships are based on individual state board requirements. Learn more about externships below! Upon completion of this program, you will be prepared to sit for the Pharmacy Technician Certification Exam (PTCE), offered by Pharmacy Technician Certification Board (PTCB). The registration fee for this exam is included with this program. NEW Pharmacy Externship* with ed2go! ed2go has reached a nationwide agreement with several pharmacies that will give our Pharmacy Technician Program students an important leg up in the job market. These pharmacies will offer their renowned externship programs to you, provided you meet basic qualifications. Externs will get hands-on experience that includes assisting pharmacists with prescriptions, answering patient questions about medications, and a bevy of administrative duties. In order to qualify for an externship, you'll have to pass a drug screening test, obtain professional liability insurance, complete a background check and employment verification, meet current immunization standards, conform with and complete any state mandates such as registration, fingerprinting, licensing etc. Additional forms may be necessary for externships with certain pharmacies. It may take up to 12 weeks to find an available opening. *Disclaimer: An externship with these pharmacies is not guaranteed. All students must apply to the program and complete the prerequisite criteria before being accepted. Positions in the externship program are contingent on availability at each pharmacy location. Students may also set up their own externship at any other retail or hospital facility. The externship is an additional 100 hours. To participate in the CVS or Walgreens externships, students must not have a criminal record. Background checks will be conducted prior to the student's admittance into the externship program. PLEASE NOTE: Walgreens is not currently able to place externship students in Arizona and Florida because they're piloting a POWER project in those states. An alternate externship may be available in these states. This program is compatible with the Windows XP and later operating systems and IE 7 and later browsers and can be taken on either a Mac or a PC; however, most medical offices currently use PCs. A high-speed Internet connection is recommended. After successfully completing your program, you’ll also receive access to the Pharmacy Technician Certification Board (PTCB) practice tests, to help you study for your certification exam. If you're interested in becoming a pharmacy technician, this program is for you! No healthcare or medical office work experience is required to take this program. You should be proficient in keyboarding (approximately 35 words per minute), have a basic understanding of a word-processing computer program (Microsoft Word is recommended), and have a command of English grammar and punctuation. Students are encouraged to have a basic understanding of high school math including percent’s and proportions at the algebra level. This program will provide a review of fractions and decimals, in addition to covering more advanced pharmacy equations. In order to sit for the national certification exam, candidates must be 18 years old and have a high school diploma or equivalent; therefore, it's recommended you have this within 6 months of enrolling for this program. Melissa Dunworth has been a pharmacy technician for over 13 years. She lives in Albuquerque, NM. She has worked in all pharmacy arenas (retail, closed pharmacy and training/education) during her pharmacy career. Melissa currently holds a Bachelor’s degree in Speech and Hearing Sciences and works as a Developmental Specialist in Early Intervention for children ages 0 to 3 years. She has been a certified pharmacy technician since 1997. Melissa is also registered with the New Mexico Board of Pharmacy. Betty Stahl has a doctorate in pharmacy from Shenandoah University. She has taught pharmacy technician programs at ASA College in New York City and ACT in Arlington, Virginia, over the past several years. Betty has also worked as a pharmacist at CVS and in hospital settings. 1. How can I find my state's requirements for certification? The Internet is a great resource. All states have a website with Board of Pharmacy information. You can access this information directly from the Pharmacy Technician Certification Board (PTCB) website at www.ptcb.org. Click on their "Who we serve" link, then the "states" link for information. Or you can call the state board and ask for the current technician regulations. Or you can call the state board and ask for the current technician regulations. 2. What if my state requires more than what's offered in this program? Most states still offer employment prior to certification. This often comes with the stipulation that certification is acquired within a period of time (usually a year). During this period, you'll work as an unlicensed personnel member, clerk, or aide. On-the-job training or externships are a great way to obtain the increasing number of hours required (many states require a minimum number of hours worked before you can be registered or certified with the board). If your goal is to work in a hospital pharmacy, finding that job while you’re still a student will help you reach your employment requirements, along with the educational clinical requirements. 3. How will the Pharmacy Externship be established? ed2go has established a national contract with Walgreens and CVS for Pharmacy Technician externships. Externships are based on availability and cannot be guaranteed. Our Externship coordinator will work with you to set up a retail pharmacy externship. If you are interested in applying for an externship in a local pharmacy that is not a Walgreens or CVS, you may discuss these other options with the externship coordinator. If you’re currently working in a pharmacy setting, that will qualify. With the increase in confidentiality and privacy regulations and liability issues in relation to health information, externships could become difficult to accomplish. In the event that you can't arrange an externship, you will complete the Virtual Pharmacy Externship for Technicians provided with the program. *By state regulation, you may be required to apply for your pharmacy technician license or register with the State Board of Pharmacy before you can apply for the externship. Please check the website for your state’s Board of Pharmacy regulations and additional information. The state’s Board of Pharmacy has the most accurate and up to date information. 4. Can I enroll in this program if I have a criminal record? No. To participate in the externships, students must not have a criminal record. Background checks will be conducted prior to the student's admittance into the externship program. 5. Can I register for programs if I am an international student? 6. How long does it take to complete a program? All of our programs are self-paced and open-enrollment. You can start and finish the program at your own pace. When you register for a program, you're given twelve (12) months to complete the program. 7. What if I don't have enough time to complete my program within the time frame provided? 8. Do I have to buy additional materials? All required materials are included. The cost of materials will be covered by your tuition. ed2go will ship all materials (when applicable) via UPS ground service upon registration. ed2go programs are non-credit programs, so they don't qualify for federal aid. In some states, vocational rehabilitation or workforce development boards will pay for qualified students to take our programs. 10. What happens when I complete the program? Upon successfully completing the program and fulfilling the financial obligation, you'll be awarded a certificate of completion. In addition, you will receive an exam voucher to sit for the National Certification Exam which is the Pharmacy Technician Certification Exam (PTCE), offered by Pharmacy Technician Certification Board (PTCB). 11. Am I guaranteed a job? ed2go programs will provide you with the skills you need to obtain an entry-level position in most cases. We do not provide direct job placement services, but our instructors will help you build your resume and are available to give advice on finding your first job. Instructors will also be available to use as a professional reference upon completion of the program. Potential students should always do research on the job market in their area before registering. 12. Who will be my facilitator? Each student is paired up with a facilitator for one-on-one interaction. The facilitator will be available to answer any questions you may have and to provide feedback on your performance. 13. Can I use a Mac? 14. How can I get more information on the program? 15. When can I start the program? Our programs are all open-enrollment, which means you can register and start the program as soon as you're ready. 16. Does this program prepare for a certification? Yes, you will be prepared to sit for the National Certification exam titled Pharmacy Technician Certification Exam (PTCE), offered by the Pharmacy Technician Certification Board (PTCB). 17. If I enrolled before February 24, 2016, can I still receive the exam voucher? Unfortunately, students who enrolled prior to February 24th, 2016 are not eligible for the exam voucher. 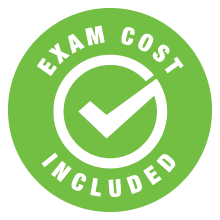 If you are a current student and enrolled prior to this date, you will not receive an exam voucher upon completion. I could complete it taking my own time as I had a lot of other things going on and definitely could fit this into my schedule by working around it. I loved the online course with a busy schedule, it helped a lot. I had a great teacher. I never thought I would be able to complete a course such as Pharmacy Technician online. At times the course became challenging, especially when it came to the calculations, but the books and CD's really explained the material thoroughly. Everyone from Central Michigan/Gatlin Education was extremely helpful and always responded back to me in a timely manner. I was encouraged throughout the course with positive and constructive feedback. It was a great experience learning about the course. My facilitator was very supportive. I enjoyed the books because they were very informative and detailed. I was able to study on my own time. I received support and answers to my questions and in a timely manner. For me, the online experience with this course went very smoothly. Thank you. Being able to do the coursework at my own pace was the best part! I just wanted to thank all of you for your course and the help you gave me throughout. I just passed my certification yesterday and I am looking forward to the future as a Pharmacy Technician. My learning experience was awesome. My facilitator and student support personnel were obviously masters of their craft! The program was user friendly and in real time. I had big fun! In general, I love learning. I got good feedback on all of my reports. The support that I received from Joshua (support staffer) went above and beyond my expectations.